It was a long head. Based on the first book, we’re swimming in three- to four-star territory. I wish I could reprint the entire episode as it’s brilliant and magical and is an example of Peake’s ability to meticulously set up a scene for maximum effect. And there are many more I could bring up. In Titus Groan, Flay learns something from his exile and his witness to Keda’s suicide (pp. 345-50). Peake lovingly lingers for 30 pages building up to Steerpike and Titus’s lethal confrontation (pp. 768-799). In an absurd vein, there’s the scene where the castle’s coterie of tutors turn their dining tables upside down and sit on them like rowers in a boat, all according to a ritual whose purpose has been lost (pp. 498-9). Equally absurd is Irma Prunesquallor’s matchmaking party (pp. 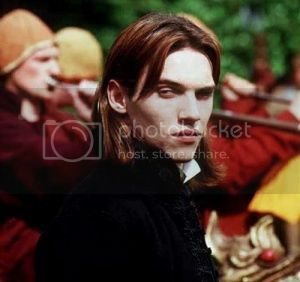 564ff); or nearly as intense as Steerpike’s fate is the young earl’s first and last meeting with The Thing (pp. 730-7). I like Peake’s attention to detail and patience in creating a picture and setting a mood; considerations not often addressed in many fictions. I can see why some find this book tedious but it’s the rare novel where I can so vividly see what I’m reading. The first is Flay, Lord Sepulchrave’s (the 76th earl) first servant. He begins the story a close-mouthed, ill-tempered man but becomes one of Titus’s fiercest protectors and close friend. Fuchsia, Titus’s older sister, begins the books a spoiled, utterly self-centered brat but she also grows and matures into a woman whose tragic end is moving and gut wrenching. What was the darkest of the causes for so terrible a thought it is hard to know. Her lack of love; her lack of a father or a real mother? Her loneliness. 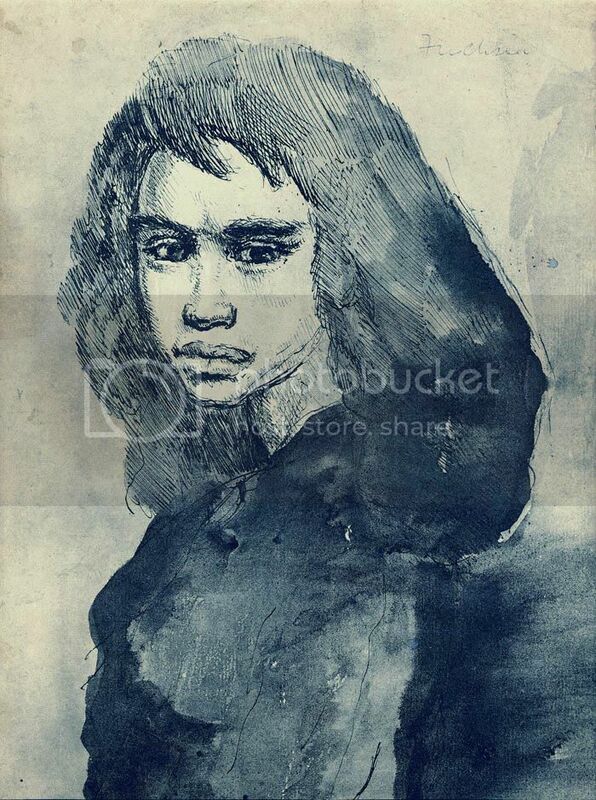 The ghastly disillusion when Steerpike was unmasked, and the horror of her having been fondled by a homicide. The growing sense of her own inferiority in everything but rank. There were many causes, any one of which might have been alone sufficient to undermine the will of tougher natures than Fuchsia’s. 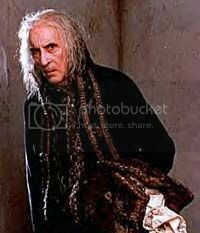 Alas, Peake kills off all three ere Gormenghast ends. Titus Alone is admittedly the weakest of the three novels. 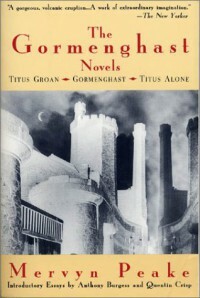 The glass city, the Black House, Cheeta and all the other characters who populate its pages are pale indeed to their counterparts from Titus Groan and Gormenghast. No one has the same presence or reality that even so minor a character as the Poet achieves. And it doesn’t help that – even in the first books – I have no real interest in Titus. In an ideal world (among the myriad things that would be better), Frank Herbert would have stopped with Dune, Spock would have remained dead at the end of “The Wrath of Khan,” the universe would not have had to endure Robin Curtiss as Saavik, and Mervyn Peake would have ended the Gormenghast novels with Titus riding off into an unknown world. So I would recommend the first two books strongly. The third is interesting and, in parts, as richly imagined as anything found in Titus Groan or Gormenghast but there’s an overall lack of intensity or engagement which makes it a more cautious recommendation.